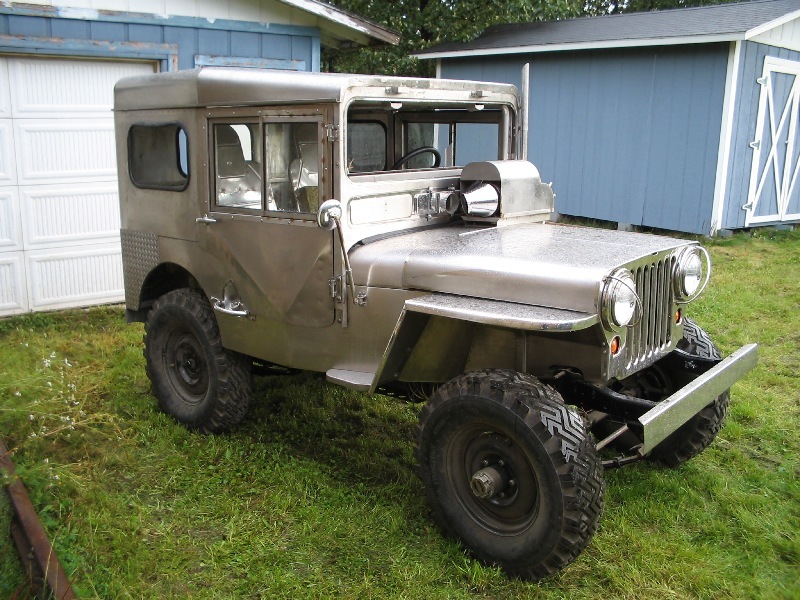 My father bought an all original 1952 Willys M 38 in 1964 from a local guy here in Anchorage who purchased three Jeeps as military surplus. The M 38 my father bought came with a full aluminum top and doors (commonly but incorrectly called an Arctic Top), a 20,000 btu Southwind heater with all the heating ducts, a built in gas fired engine and battery heater, and a 24 volt waterproof electrical system all coated with numerous layers of olive drab paint. 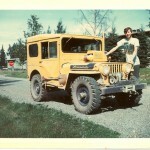 This was my dads everyday driver for eight years until it was finally replaced by a new pickup truck in 1972 and the Willys passed into my ownership for the sum of ONE dollar. 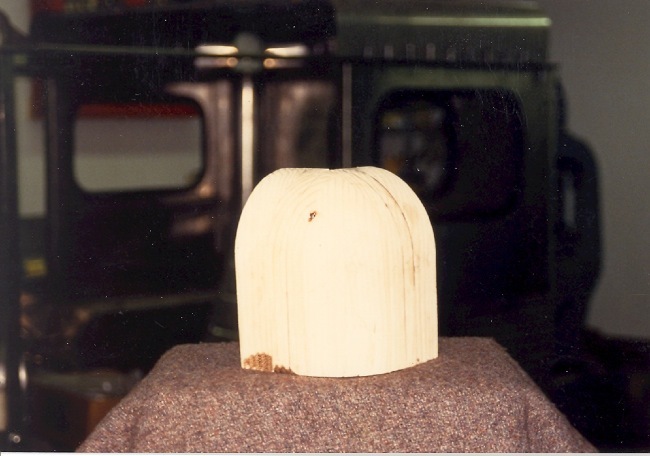 I got screwed on this deal, here it is 37 years later and I’m still dumping money into this never ending project. Boy, if you want to really mess with a kid give him a Jeep and he’ll be twisted for the rest of his life! 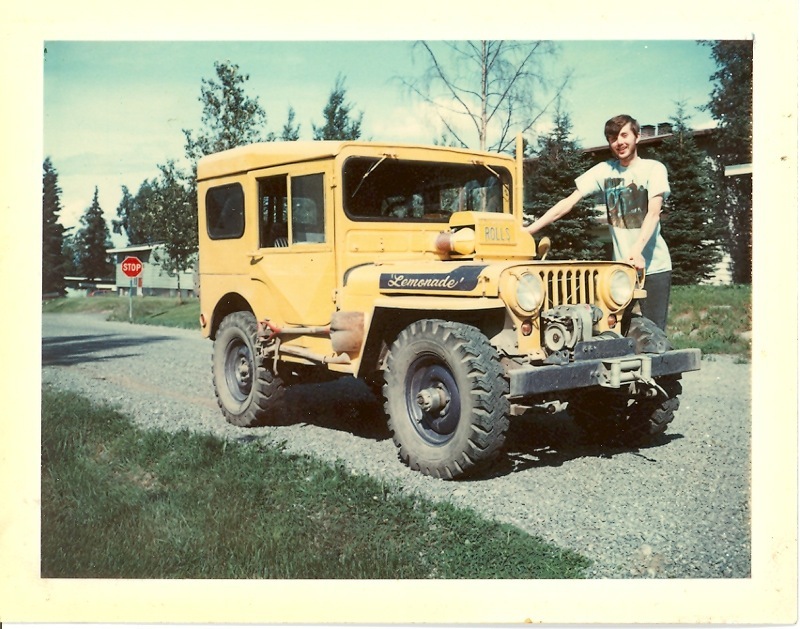 I drove the Jeep off and on (it broke a lot and money was tight) until fall of 1985 when just about everything broke, quit working or caught fire but it did get me home one last time. It was decision time, should I scrap it or perform a rebuild to end all rebuilds? 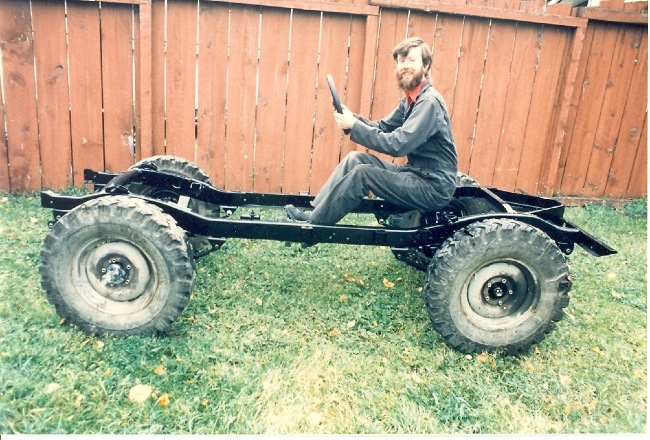 January 1st, 1986 was the day I decided to rebuild the Willys and make some much needed modifications so I could keep up with traffic and even have brakes that worked. Geeze, this thing was so slow (5.38 axle gears and an anemic flathead engine) bus loads of Nuns were giving me the finger. Everywhere I went it looked like I was leading a parade and I couldn’t take back roads because there aren’t any. We’re lucky to have the limited road system right now and there are no extra roads planned in the future. I’d been drooling over Acme Truck Parts advertisements showing Stainless Steel Jeep bodies (I still have the magazine) so I ordered the complete body (tub, windshield, front fenders, grille, tailgate and floorboards) for the gigantic sum of $5,000 dollars paid upfront. Lots of delays, problems and denials later the body finally arrived along with a new steel frame for $500 bucks plus shipping. To condense this story down I spent the first five years rebuilding the body so the parts would fit before I modified the windshield to a vertical mount to match the original aluminum top. It took me four tries to make the first successful rear corner on the Willys top, the initial three attempts just irritated the metal and burned my fingers. 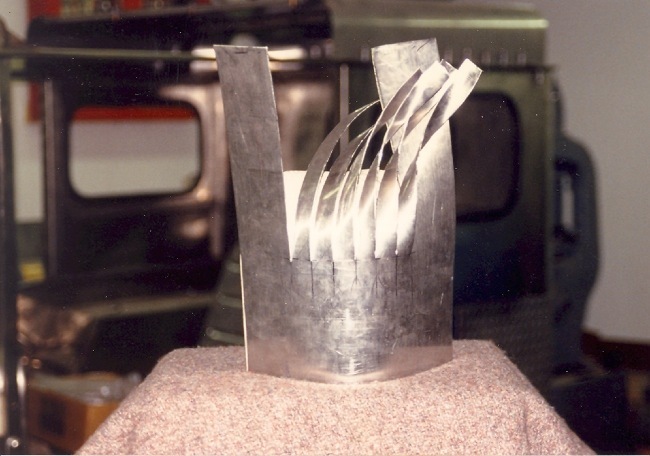 By the time I finally stumbled on the magic formula for making compound corners in stainless each successful corner took twenty hours to build. The left rear corner (drivers side) is corner number four and the right rear corner (pass. side) is corner number five. Naturally I had stupid people visit to see the progress on the Jeep, look at the corners and ask “What else have you done?” I’m pretty sure it’s ok to kill the really stupid folks among us, don’t dumb people cause global warming or something? 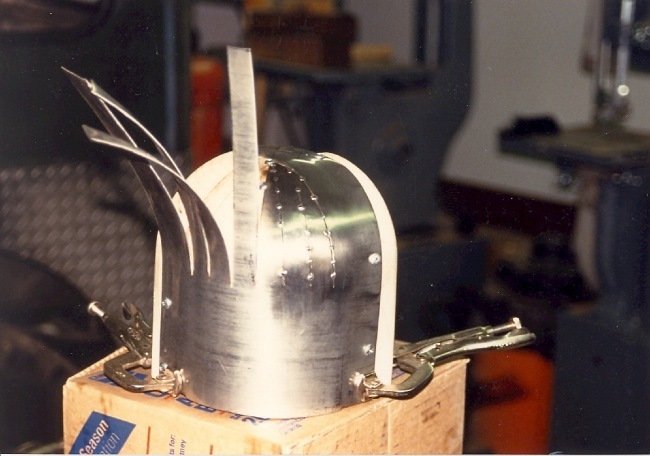 The more I inspected the top the more hidden damage I found so I cut the top apart and duplicated each 50 thousandth thick aluminum piece in 50 thousandth thick stainless steel keeping the outside appearance original but modifying the interior so I’d fit in it better. Since I’d duplicated the top it made sense for me to duplicate the doors, window sliders, hinges and door handles from stainless also. 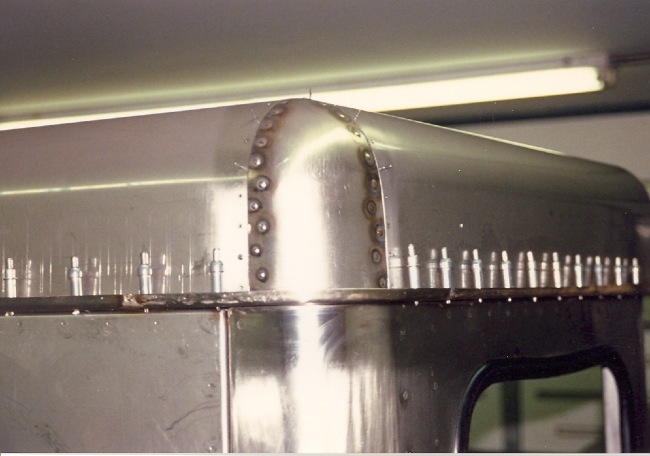 I’d purchased stainless seats but I made my own fuel tanks and I put one under the passenger side instead of the original storage compartment. That’s why the Willys has a recessed fuel filler on each side. I know, the original M38 had huge fuel caps but the only stainless caps I could find were normal sized ones so the filler neck is much smaller in diameter and the recessed fillers were built accordingly. When I sit in the Jeep the top of the dash is below my knees so I moved the instrument panel above the windshield and fabricated an overhead center console filled with a CD player and lots of switches. Between the seats is a pair of stainless cup holders (1/4? thick so I don’t worry about them getting damaged), the ignition switch and a bunch of shift levers. The normal three speed, Warn overdrive, four wheel drive and high/low range … I call it a four on the floor! The engine was replaced with a Buick 225 odd fire V 6, 11 inch drum brakes with hanging clutch and brake pedals, a hydraulic clutch slave and master cylinder and of course a five position stainless steel tilt steering column complete with a leather wrapped stainless steering wheel custom made by ididit in Michigan. The steering column alone has a heck of a story about it but that will wait for another time. I’m just trying to give you a brief overview covering the last 23 years. I’m not done, I’m getting closer but there’s still lots of items left on my to do and to buy list but at least I’m closer to being done than I was 23 years ago! Normally I don’t like to say anything bad about my mom but I have to admit it appears she raised an idiot. This entry was posted on Tuesday, October 19th, 2010 at 11:24 pm and is filed under Uncategorized. You can follow any responses to this entry through the RSS 2.0 feed. You can leave a response, or trackback from your own site. A Regular Guy by Themebuilder | Entries (RSS) and Comments (RSS).